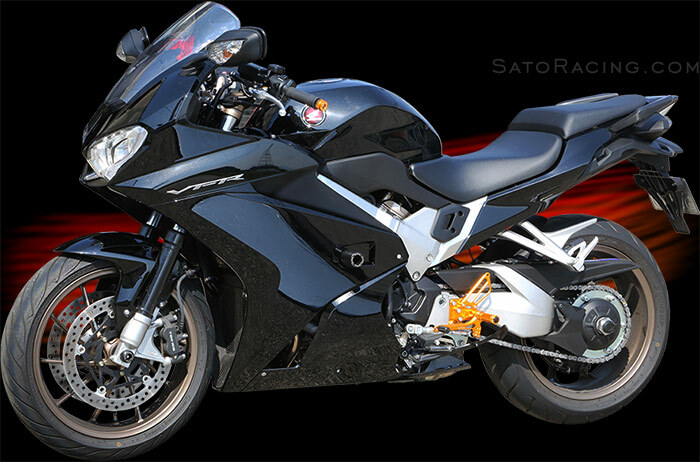 SATO RACING Rear Sets for '14-'15 Honda Interceptor / VFR800F are made of high grade billet aluminum anodized in your choice of Black, Silver, or Gold finish. 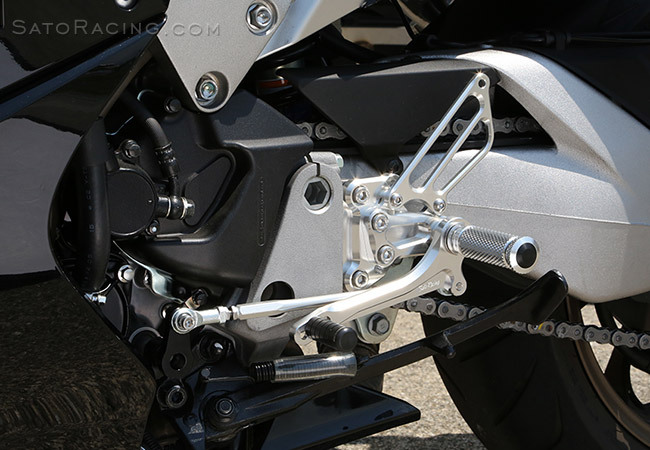 The modular design of these Rear Sets lets you choose from 6 adjustable positions, so you can find the ideal position for your riding style. 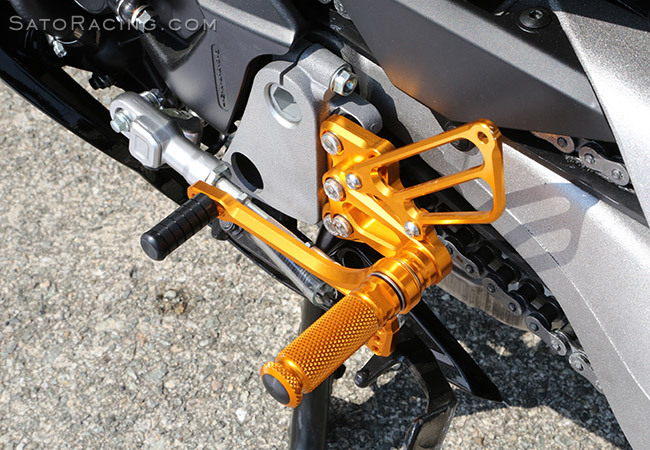 2 versions of these Rear Sets are available: for quick-shifter equipped models and for standard (non-quickshifter) models. 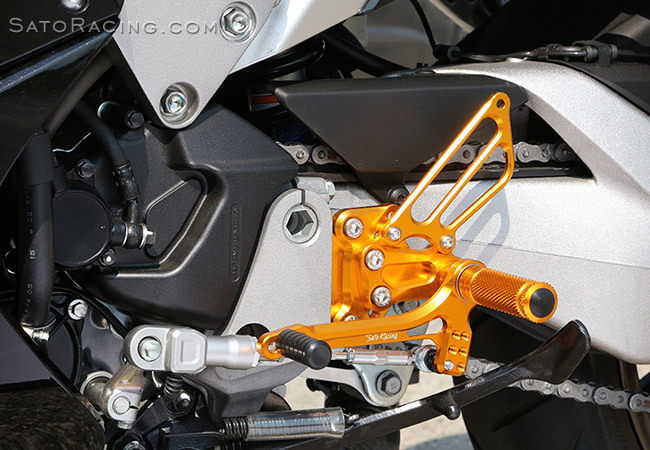 * Position 1 is not for use with the Quickshifter version Rear Sets. 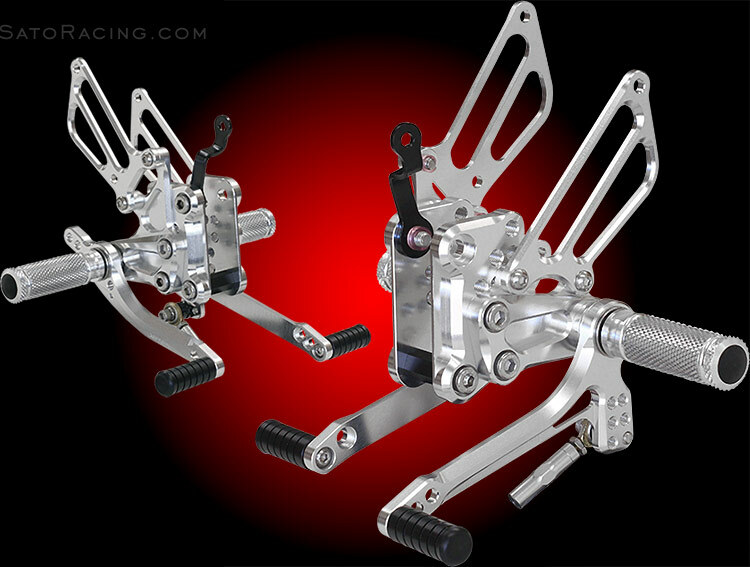 The shift and brake pedals utilize double stainless bearings for smooth, precise pedal action. The position of the step plate can be adjusted 6 ways. Pedal Tip position can also be adjusted. 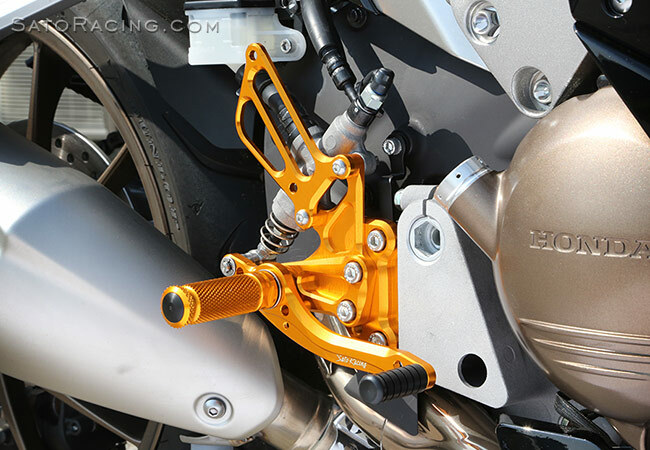 Finely knurled footpegs have a comfortable feel with excellent non-slip characteristics. 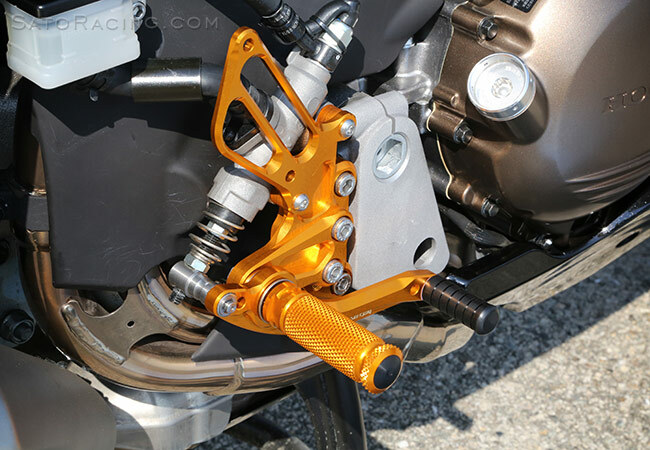 Standard version Rear Sets (non-quick shifter) includes a full length shift rod and a shift arm. 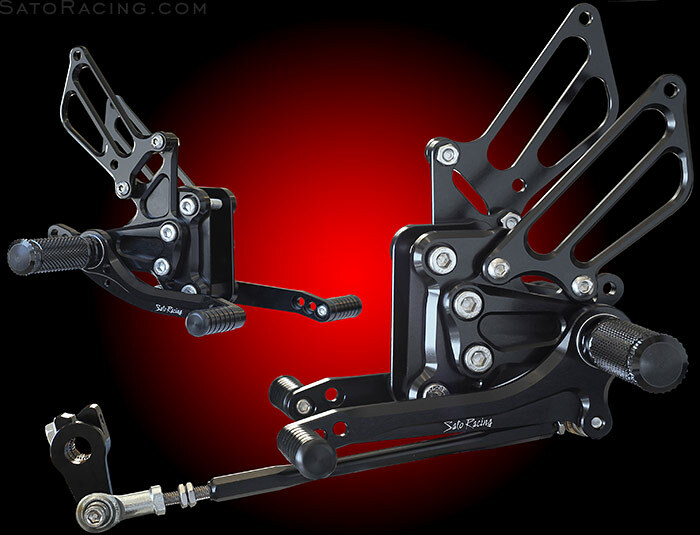 illustrated parts list included with your Sato Rear Sets.